Tiffany Trenda is a new media performance artist based out of New York and Los Angeles. Tiffany’s performances and installations explore the relationship of the human body, particularly the female body, to technology. She interchanges her identity with screens to represent how we conceal and reveal ourselves through our devices (smart phones, computers, etc.). As these devices become an integral part of our daily lives, we relate to them as if they are part of our skin. Therefore, we are constantly choosing between the physical and the simulation of our bodies through virtual realities, social media, etc. We are no longer living in the present but through the screen. This changes how we form memories and how we interact with the outside world. 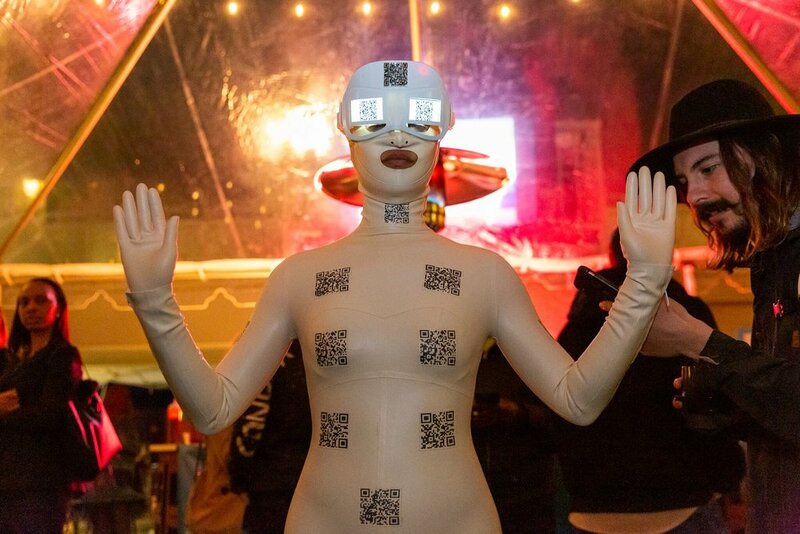 Body Code is a live performance that conceptually focuses on the human body's relationship to data. As a data-driven culture, we are more interested in the activity of scanning then to experience our surroundings. That is, we are no longer absorbing the details of our world. Instead, we have become obsessed with the act of looking at data without understanding it. Therefore, we have become a culture of scopophilia- today’s obsession of looking. 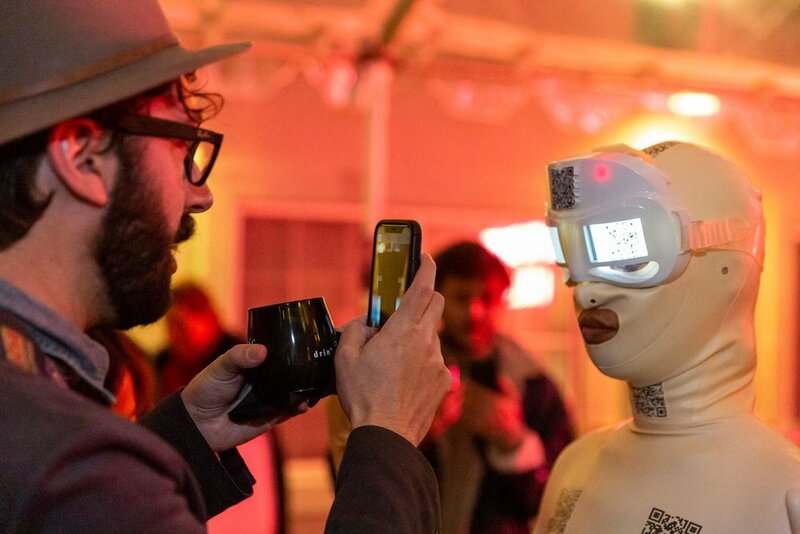 Body Code is a reaction to how the flesh body is disappearing through this virtual obsession of scanning. The word “scan” twenty years ago, defined an action of the body. It helped us to understand the physical world around us. Today “Scan” refers to how we interact with the screen (cell phone screens, computer screens etc.). Now we are experiencing the world through these devices and are no longer living in the present. This is from our usage of the camera on our phone and social media. For example, we record our lives instead of living in the moment. This effects how we create memories. We are relaying on the devices to become our database of mediated memories. Sigmund Freud coined the term “screen memory” as a “substitute for something else” Screens are a substitute for our real-time interactions.